Analog Africa’s latest tropical music smasher is from Bro. Valentino. The Trinidad singer was voted among the top 50 calypsonians of the 20th Century, four of his songs have also been selected in the Top 200 calypsos of that period – Life is a Stage (1972), Barking Dogs (1974), Dis Place Nice (1975) and Stay up Zimbabwe (1979), while his 2004 history treatise Where Calypso Went was selected as Calypso of the Year. Valentino can be assured of a place among the pantheon of calypso luminaries in the hallowed halls. At the end of the heady decade of the tumultuous 1970’s, with the echoes of the Black Power revolution of Trinidad still strongly reverberating, Valentino penned his two most commercially successful calypsoes, 1979’s Stay up Zimbabwe and 1980’s Ah Wo (Brand New Revolution). Both were reflections of the revolutionary spirit which had engulfed the Caribbean in the 1970’s. 1979 marked the historic date of the Maurice Bishop led Grenadian Revolution. Anthony Emrold Phillip began his illustrious career in 1961 at The Big Bamboo, a minor calypso tent in Port of Spain, Trinidad, before breaking into the professional scene in 1966 at the Lord Kitchener’s Caravan calypso tent. After the Black Power revolution of 1970 he sang on behalf of the poor and downtrodden and was dubbed “The People’s Calypsonian”. Next up on Analog Africa will be the final album from Cameroon’s legendary Los Camaroes, available on LP for the first time since 1979. 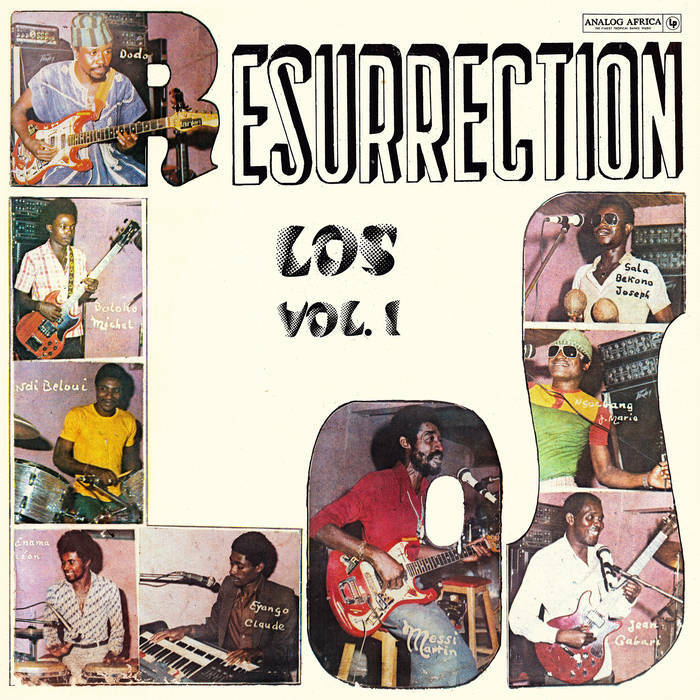 Recorded live to two track at the Mango Bar in Yaoundé, Resurrection Los was the last collaboration between bandleader Jean Gabari and groundbreaking guitarist Messi Martin. The deluxe LP reissue features notes on the history of the band by original keyboardist Mbambo “Johnny Cosmos” Simon, plus all new interviews with producer Nicolas Mongué and engineer Emmanuel Guyssot. It follows the superb Pop Makossa compilation by the label of dance music from Cameroon. Click here for the Analog Africa Bandcamp.